Don't know where to head in evenings for a little peace of mind? Do you crave the beaches? 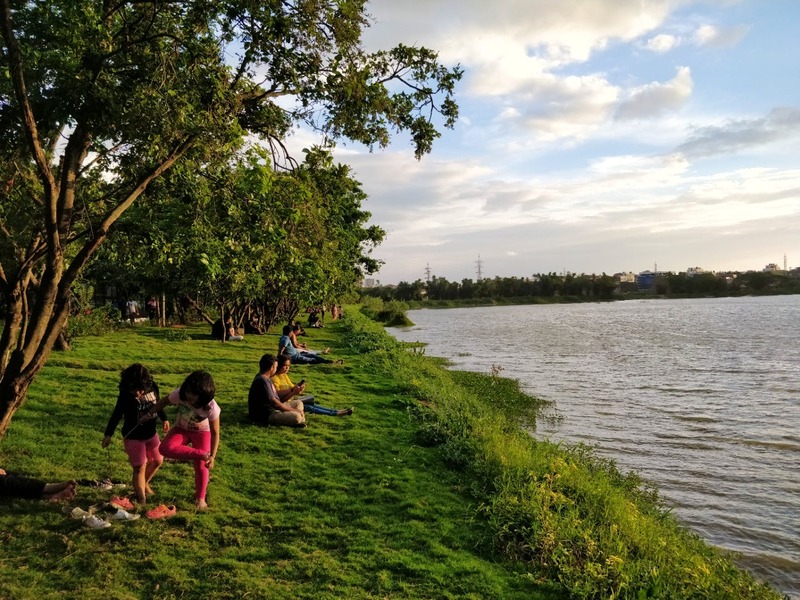 Couldn't find a freshwater lake in Bangalore that doesn't stink? Are you fond of sunsets? Do you prefer outdoor exercise? Want to ride a bicycle but not in the busy Bangalore traffic? If your answer is yes to any of these questions, waste no time, Agara Lake has got you covered. It awaits you with a cool breeze that will kiss your soul, a great sunset view that will leave you mesmerised, and luscious green grass that will provide comfort to your legs. This lake makes for the perfect spot to enjoy solitude, chill with your squad, enjoy your partner's company or even have a play date with your kids and pets. People usually rent Pedl or Yulu cycles just outside the gate and ride around the lake. It's open only till 8 pm, so no late night strolls. Oh, and don't forget to grab some delicious bhel at the entrance, it's a different experience to eat while walking. It'd be so much better if it would stay open till late at night. Big Group, Bae, Kids, Pets, and Family.